situation, hopes, possible future developments). 2) THE ESSENCE CARD can give you insights in your own nature and help in any situation to find back to your inner centre. 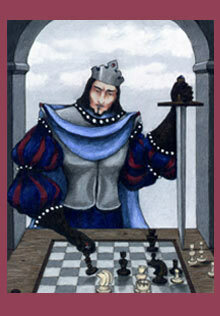 3) THE FOOL'S GAME shows the past and future developments of certain subject matters. 4) THE DAY CARD can be drawn every day and suggests a topic to you with which you should concern yourself for the duration of that day. 5) MY RELATIONSHIP will give you a good description of what your partner/your relationship means to you at present.